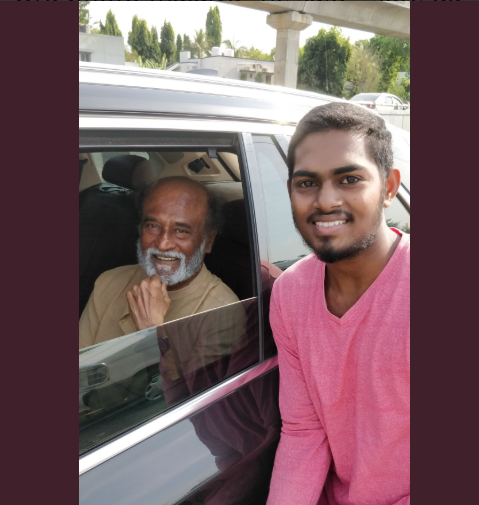 Interestingly, one of the young fans of Rajinikanth chased the car of the superstar from the airport. He chased until he got noticed by the superstar himself. Superstar Rajinikanth recently visited Thoothukudi to meet the people affected in police firing during the long protest for the closure of Vedanta’s Sterlite Copper unit. The superstar made his way to meet the injured people at the hospital. Being his first political programme, a huge number of the crowd gathered to catch a glimpse of their favourite superstar. Interestingly, one of the young fans of Rajinikanth chased the car of the superstar from the airport. He chased until he got noticed by the superstar himself. Rajinikanth’s daughter Soundarya Rajinikanth yesterday took to Twitter to share a glimpse of fan frenzy in Thoothukudi on superstar’s arrival. The long protest for the closure of Vedanta’s Sterlite Copper unit in Tuticorin over pollution concerns turned violent on March 23. The fight turned ugly in which 9 people were killed. The protestors went on the rampage in the town about 600 km from Tamil Nadu capital Chennai and started Hurling stones and setting government vehicles and public property on fire. Meanwhile, taking about Rajinikanth’s upcoming film, Kaala is said to be a documented story of a don living in the slums of Dharavi. He will play a slum lord turned gangster in the film and is reportedly based on the life of Haji Mastan. The film will also have political overtones.